Every week on First Sight Saturday I welcome a guest author to share an excerpt of a first meeting between two characters. 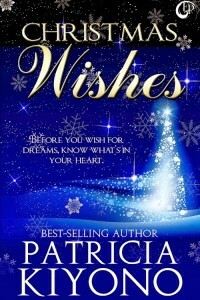 Today Patricia Kiyona brings us a portion of her sweet contemporary romance, Christmas Wishes. An interesting fact about Patricia: her grandparents came to America from Japan in the 1920s. Since they and their children were the only Japanese family in Michigan during WWII, they were not sent to the internment camps, but were allowed to stay in their home under the watchful eye of local federal agents. I’d say that it a wonderful piece of family history! 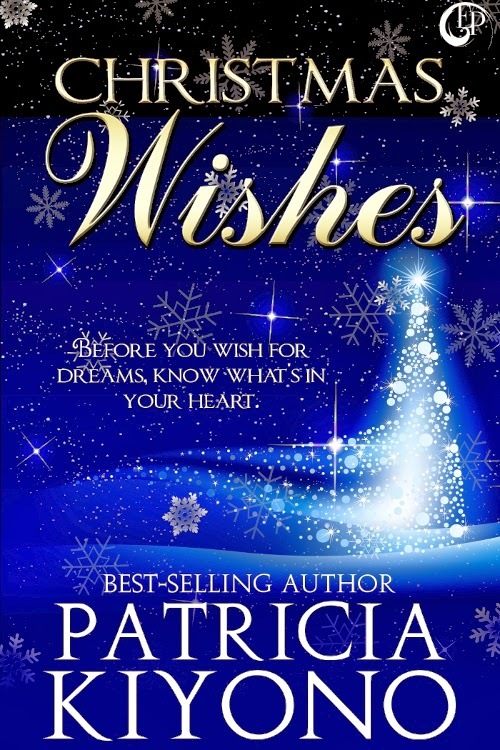 And look at how pretty Patricia’s cover is. Mitch Carson studied the nutrition labels on the boxes of cereal in front of him, wanting to choose wisely, but six-year-old Angie kept pulling on his arm. “Daddy, I can’t wait ten minutes.” She hopped up and down, her face strained with discomfort. Mitch grimaced. Why did this always happen when they were out of the house? He was searching for the words to reassure her again when a gentle feminine voice spoke. Mitch looked up into a pair of wide green eyes. Exotic and enticing, yet capable and compassionate. The eyes were set in a small heart-shaped face and surrounded by a cloud of honey blonde hair. He closed his mouth before he embarrassed himself by drooling. And he tried very hard to keep his voice from squeaking as he answered. “Daddy, I need to go!” Angie continued her hopping, clearly uncomfortable. Angie dashed into the restroom, and the blonde started to take off. “Uh, thanks for your help,” he called after her. “New, I guess. We moved here in August. Mitch Carson.” He held out his hand. “Thanks. I can’t argue with that.” He’d been welcomed by other residents, but for some reason, the words from this particular woman made him feel almost giddy with pleasure. He turned when the bathroom door opened, and Angie came out, much happier than when she’d gone in. Her gap-tooth grin made his heart swell with pride. Strange, but his usual apprehension when his daughter was out of his sight hadn’t seemed so intense with this lady by his side. It would be so nice to share the parenting responsibilities with someone. No, he reminded himself, I’ve got to do this myself. At least, I’ve got to try. The blonde — Sophie, she’d said her name was — went on her way, and he fought off the urge to call her back. In a town as small as Zutphen, he’d run into her again. Patricia Kiyono can be found at her website, blog, facebook, Amazon, and twitter @PatriciaKiyono. Patricia and I both welcome your comments and questions. Please come back next week for a fresh new excerpt from another visiting author.